April 23, 2012  Twelve agents were accused of cavorting with prostitutes in Cartagena, Colombia. Six have already lost their jobs. One has been partially exonerated. Another 11 members of the U.S. military were also allegedly involved. 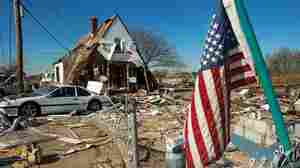 April 5, 2011  "There's always going to be extremes that react" when a lawmaker is involved in controversy, the New York congressman says. He held a hearing last month on "Muslim radicalization." March 10, 2011  A California imam has offered his own response to Thursday's House Committee on Homeland Security's hearing on "The Extent of Radicalization in the American Muslim Community." The hearings drew many emotional reactions Thursday. 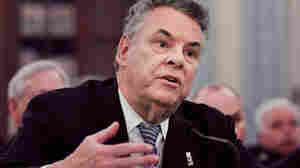 March 8, 2011  Rep. Peter King's planned Muslim radicals hearing is either depicted as a witchhunt or a much needed examination. And it has gotten an impressive amount of pre-hearing publicity. March 8, 2011  The difference is that the Irish Republican Army never attacked America, says the congressman, who holds a hearing Thursday on "Muslim radicalization." March 7, 2011  Rep. Andre Carson (D-IN), one of two Muslim members of Congress, says there are "Islamic bozos" who want to harm Americans. But racial supremacists and others are responsible for more attacks, he says. January 11, 2011  Rep. Peter King said his proposal wouldn't just protect officials but the public as well.